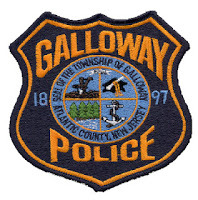 The Galloway Township Police will be adding supplemental patrols as a pro-active approach to addressing areas of high incidents and/or complaints through out the Township. Starting Friday, July 19, 2013 officers will be utilizing plain clothes tactics and uniformed patrols to detect, investigate, and deter illegal activity and address some traffic related issues in areas that have been identified through calls for service, complaints, statistics, etc. Specifics related to how many officers, number of details, areas, days and/or nights of the week that the patrols will take place, will not be released as they will be changing and adjusting constantly. We want the patrols to be “unpredictable” and we expect other county and neighboring agencies to join in as we continue the patrols throughout the year. It should also be noted that the officers of the Galloway Township Police Department have agreed to a detail rate that is less than their normal overtime rate to help make this happen. By agreeing to a lesser rate, the officers have allowed for additional staffing and patrols. This is fantastic new's, and we need all the help we can get. Thanks to Chief Moran, and his officers. Much appreciated.